The Mistral Trading company commissioned us to create a line of oatmeal with dessert flavors. It was necessary to create an ideologically new design, while maintaining the brand identity of the brand and its architecture. 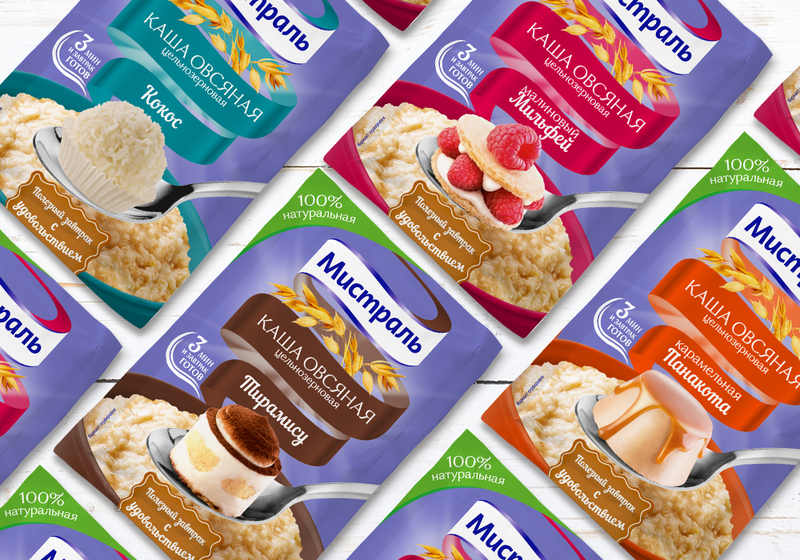 There are eight popular flavors in the line, among them cheesecake, tiramisu, milfei, panakota. 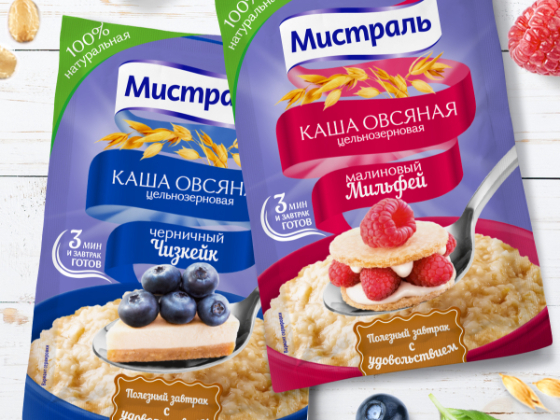 The main target audience for the new product are women, who want to have a healthy breakfast. But also they do want to pamper themselves with something delicious. 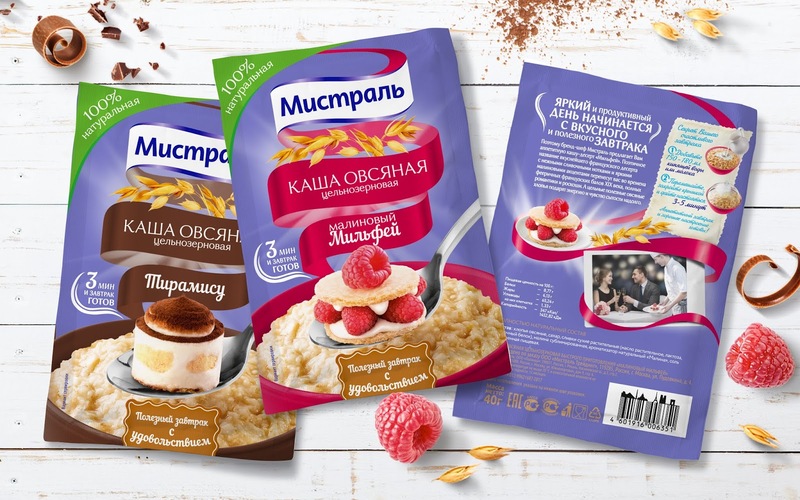 The new line satisfies both wishes: porridge - the ideal healthy option for breakfast and the dessert fillers are responsible for a bright taste. Individual packaging - one taste - one serving - emphasizes that it is an opportunity to pamper yourself, not designed to share pleasure. When it comes to dessert flavors, we decided that the new line should be primarily aesthetic attractive and noticeable, and food zone should tempt. This determined the stages of work: the choice of a distinctive color scale, careful study of the food zone, atmospheric storytelling for the reverse side. 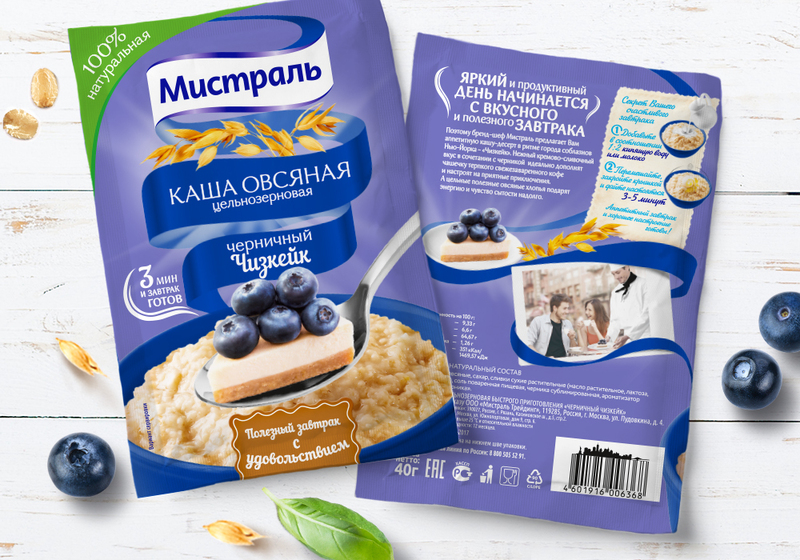 To create delicious accents, we pre-rendered mock-ups with the food zone, and then held a photo session in Sergei Martyakhin’s studio. Especially for photographing sketches, we made the miniature desserts that fit into a teaspoon. Eye-catching purple was chosen as the primary color to emphasize the exclusivity of the dessert line. 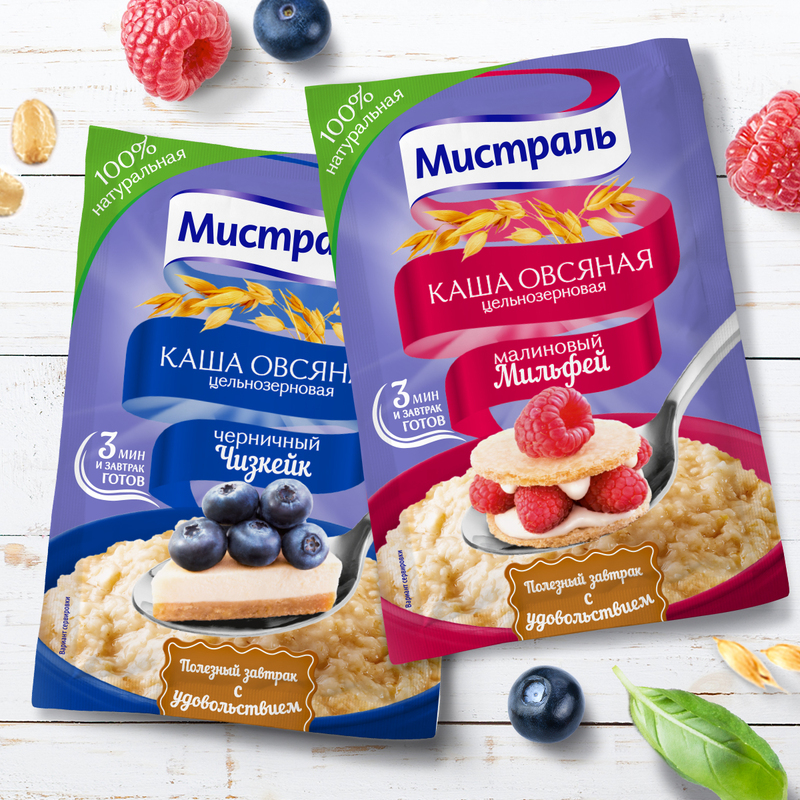 At the same time, the packaging has preserved the brand style and architecture of the brand due to the recognizable bright ribbon and sun rays presented in the Mistral breakfast lines. 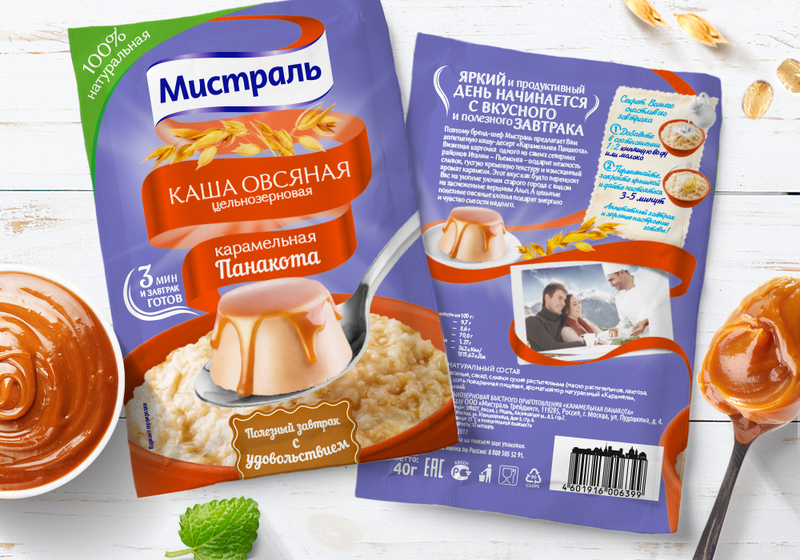 The reverse side of the package is a kind of romantic journey through the countries where famous desserts were invented. Photography and story create a special atmosphere like you have breakfast in a cozy European coffee house. Dessert line "Mistral" - a great way to fill your morning with pleasure, choosing an oatmeal with a bright taste of your favorite dessert.